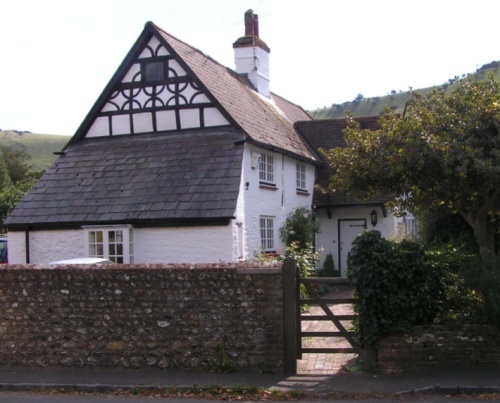 Customary Cottage, a Grade II Listed Building, is constructed in the traditional Sussex style of the 1600s, combining flint, brick and timber with a pitched roof, one which allows space for attic rooms. For many years, it was known as ‘Ivy Cottage’. The north gable end, which faces The Street, features ornamental black beams and what may be an owl window. It also had its own well near the back door. Although internally modernised to meet today’s standards of living, the low ceilings and exposed wooden beams remain attractive features of the cottage and the exterior remains largely unchanged. Over the years the building has been used variously as a communal village washhouse, as a weekly surgery for a visiting doctor, and as the District Office for the Registrar and Relieving Officer. Relieving Officers were employed to receive applications for relief (the forerunner of today’s state benefits) and to make payments once the applications had been approved. At some point in the nineteenth century, it became a private house in the hands of the Beard family. Charles Baird/Beard (the spelling changes with the census date) was born in 1796 and a probable ancestor (John Berd/Beard) was living in Fulking in the first half of the 16th century. Charles Beard was living in Fulking with his family in 1841 (and quite possibly earlier) and worked as an agricultural labourer. He had a daughter, Sarah, who was working as a domestic servant at Knole House in 1861. He also had two sons, William and George. William followed his father into agricultural labouring and George became a carter. By 1881, William was living in Briar Cottage with his family, whilst his younger brother George was living at Perching Hill. By 1891, George had moved to Edburton Sands and William, whose family had expanded to include seven children, had moved to Customary Cottage. A 1949 issue of St. Andrews Quarterly notes that, over the previous 60 years, no fewer than 65 descendants of William and Ann Beard had “come within the peaceful atmosphere” of the cottage. 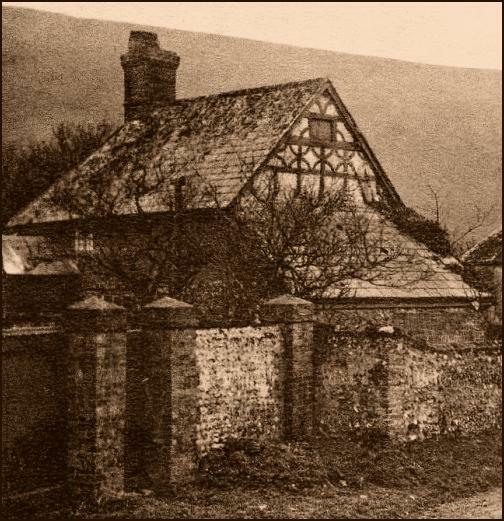 During William’s time the house had become known as ‘Ivy Cottage’, for a then obvious reason. 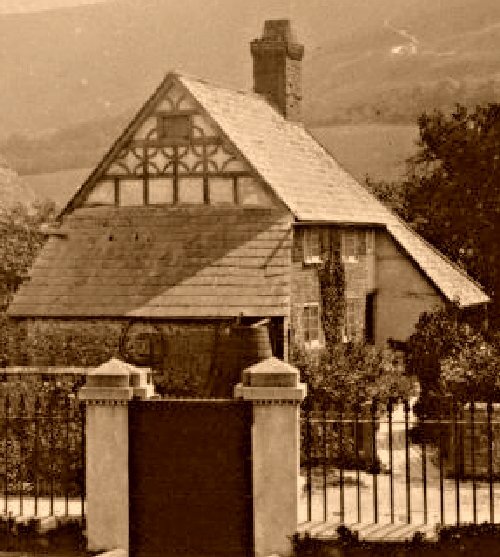 But the name has reverted to ‘Customary Cottage’ in more recent years. Subsequent to 1891, William had a second son, born in the cottage, who was named after his father. The younger William emigrated to Australia in 1909 but remained in contact with his place of birth, bringing his family over to visit in 1949 and 1955, and writing letters, verse and historical pieces for St. Andrews Quarterly during the 1949-1958 period. Charles Gearing, a joiner and cabinet-maker who had served in WWI, was married to one of the younger William Beard’s many sisters and, in 1941, they took over Customary Cottage. Charles Gearing sustained a serious motorcycle accident in 1950 and remained in poor health until his death in 1952 at the age of 64. His widow sold Customary Cottage to the Saunders family and moved to Kent in 1957.